There is something unerringly endearing about Forster’s way of expressing himself that makes this series of lectures on the makeup of the novel so easy to read. His disarming admission of his own unscholarly nature (“True scholarship is incommunicable, true scholars rare. There are a few scholars, actual or potential, in the audience today, but only a few, and there is certainly none on the platform.”) puts him firmly on a par with the reader, and his conversational, nay chatty style, opens this little book to anyone who appreciates a good read. These series of lectures were not an investigation into the history of the novel, nor a prescription of how to write good prose, but an attempt to describe the novel as an art form. 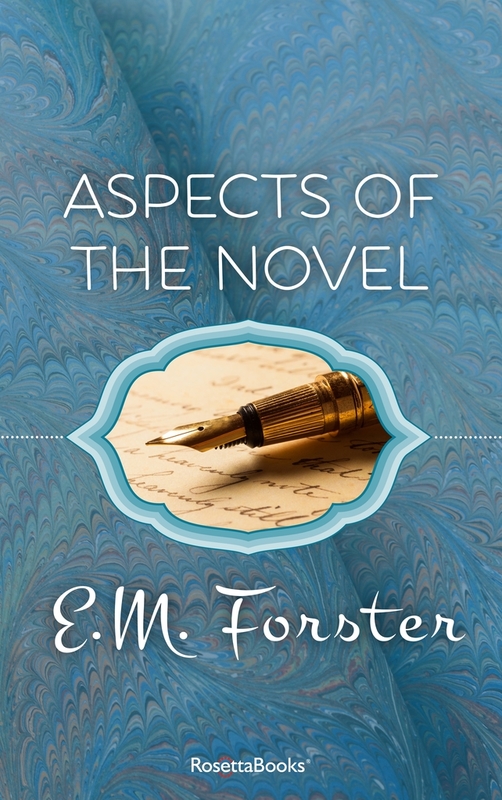 Starting from the rather open definition of the novel as “a fiction in prose of a certain extent”, Forster tackles a different component each lecture. The story, that satisfies our thirst to find out what happens next, is covered distinctly from the plot, which is the embodiment of our curiosity as to why things happen. He covers a novel’s characters, explaining how they can be ‘flat’ or ’round’, and how they differ from real human beings. The realm of ‘fantasy’, the author’s rights in his own universe, are considered, as are matters of pattern, rhythm and viewpoint, with one particularly interesting heading of ‘prophecy’. In terms of whether the book is still relevant, Forster ended his lecture series with some conjecture on what the future may hold for the novel form, whether television would eventually make it even disappear altogether (thank goodness for Riepl’s Law). His conjecture that whilst history and society move on, art remains static, is extremely interesting in light of the fact that these lectures were being given at the height of the modernist period, and pertinent works are only lightly touched upon. Furthermore, whilst he provides plenty of written examples, there are of course many references to classic works, which it probably helps to have read, but also references to authors who have been buried by posterity or are no longer so accessible. On the whole, however, Aspects of the Novel remains fundamentally readable today. It is not a high-brow scholarly affair; rather a well-thought out observational piece, taking a broad look at that vast field of literature we call the ‘novel’. Forster makes some extremely astute remarks, and his witty and conversational style bring these across in an easy and comfortable way, that makes you feel his observations are frankly obvious. He does not encompass the full gamut of literary inquiry, but instead picks and chooses to highlight his points and support his argument that there are no fast and steady rules for what defines ‘the novel’. This is probably required reading for students of English literature, but it’s easy accessibility and thought-provoking titbits should appeal to just about all keen readers with a fascination for the novel form.